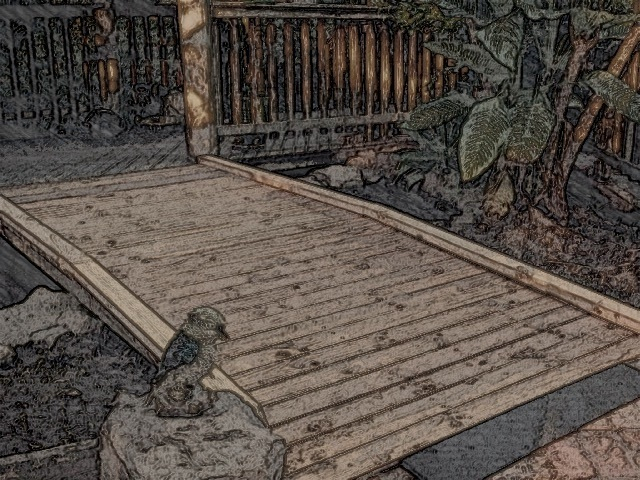 Here you see two pictures of the progress on our wheelchair-accessible bridge-over-pond, taken with a wonderful little iPad app called Paper Camera. 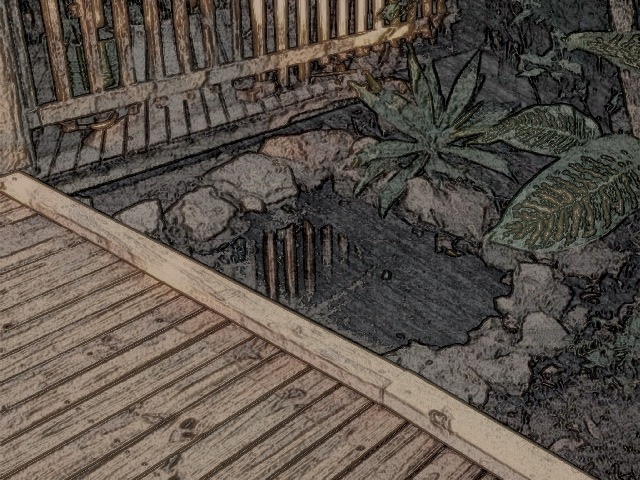 For 99c this app instantly converts photographs captured with the iPad camera into sketches, drawings and paintings. ~ by Garry on July 24, 2011. What a wonderful accompaniment to an already beautiful area. Lots of hard work for you but I am sure everyone is thrilled with the result. Is a chook fence the next project? Finished the bridge this afternoon, about halfway there with the pond and plants. Looks like all those rocks we moved will be enough after all. The chook fence? Maybe. I am still working myself up to that one.